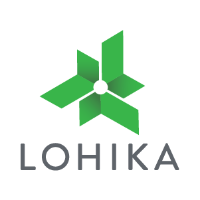 Lohika is a US company focused on providing high-end software development services to demanding technology companies. Headquartered and managed from San Bruno, California, and funded by Altos Ventures and Draper Richards, Lohika is unique in its ability to help companies with little or no positive experience outsourcing. Lohika has over 600 engineers organized into dedicated customer teams. Engineering competencies are focused on modern and emerging advanced IT technologies where availability of strong team players are limited. Lohika’s agile engineering teams are based in three Ukraine locations where we service meteoric technology companies such as Twillio, Tidemark, and Tango as well as our more established, longer-term customers who often set the benchmark of success — companies like Microsoft/Skype and Mercury Interactive/HP.